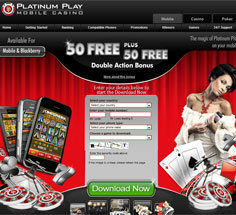 Platinum Play Casino is now offering 1,500 Free Bets and a 100% match bonus up to $/£/€200 to all new players. Getting started with Platinum Play Mobile Casino is easy, and since it’s compatible with almost all mobile phones, just about anyone can join in on the excitement of mobile casino gambling, the newest and hottest trend in the gambling world! There are just a couple of easy steps to follow to get the Platinum Play Mobile Spin 3 software downloaded to your phone. After you’ve checked to make sure your phone can load the software (most WAP-enabled and touch based phones are accepted), just enter your number at the casino’s website. 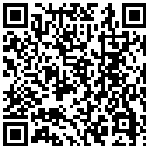 You’ll get an SMS with a link – click the link, and the software will download and install within minutes. From there, it’s easy to download only the games you want, and you’ll be online playing for real money before you know it! Platinum Play Mobile Casino lets players choose from a selection of 21 casino games to play on their mobile device, 11 of which are available on iPhones. These games are representative of the whole spectrum of casino games, and there’s a little something here for all types of players. For mobile slots, check out the famous Tomb Raider and Major Millions slots, along with Double Magic, Treasure Nile, and the classic Fruit Fiesta. Other games include baccarat, blackjack, Jacks or Better video poker, roulette, scratch card, and keno. All the games look surprisingly good, are quick to learn and easy to play. There is a great mobile casino bonus running now at Platinum Play Mobile that will give a new player’s first and second deposits a significant boost! The first and second deposit will be matched at 100% up to $50. That’s a total of $100 absolutely free. While it’s a good way to kick-start your fun at Platinum Play Mobile, it’s also the only promotion running. There is a sudden rush for casinos online to pump out mobile versions, and it’s quickly becoming a very popular way to play. Platinum Play Mobile is one of the more recent casinos to jump on the mobile bandwagon, and they have done their homework, because their mobile casino has all the right features a player would expect. It’s a great way to enjoy your favorite casino games on the go. Try it today!